Undoubtedly one of the most popular essential oils used around the world, Lavender is known to have numerous benefits for the mind and body . 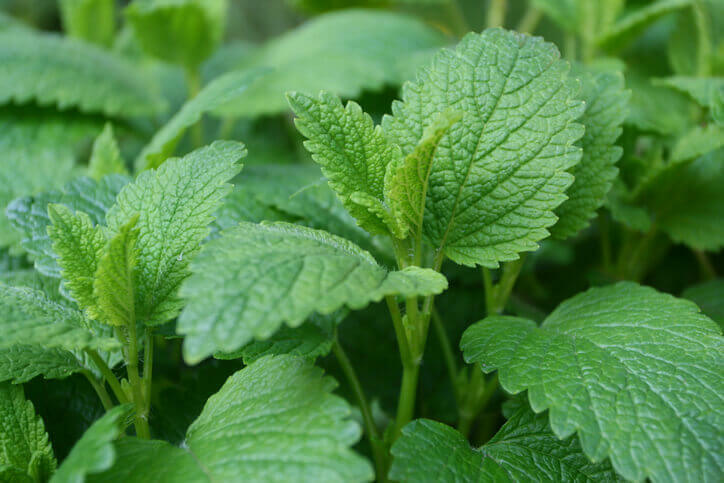 It is often used for aromatherapy purposes that focus on reducing feelings of stress, increasing relaxation, and helping promote a restful night’s sleep. It’s also great to help relieve uncomfortable head and neck tension that can be a consequence of a mind filled with worry . Overall, when worry is getting you down, Lavender is a wonderful choice to support your emotional well-being. It is known to have an immediate calming effect when inhaled or applied topically ; dilute to 2-5% with your favorite carrier oil and massage onto your feet, temples, wrists, or hands to help settle a worried mind that is causing you distress. 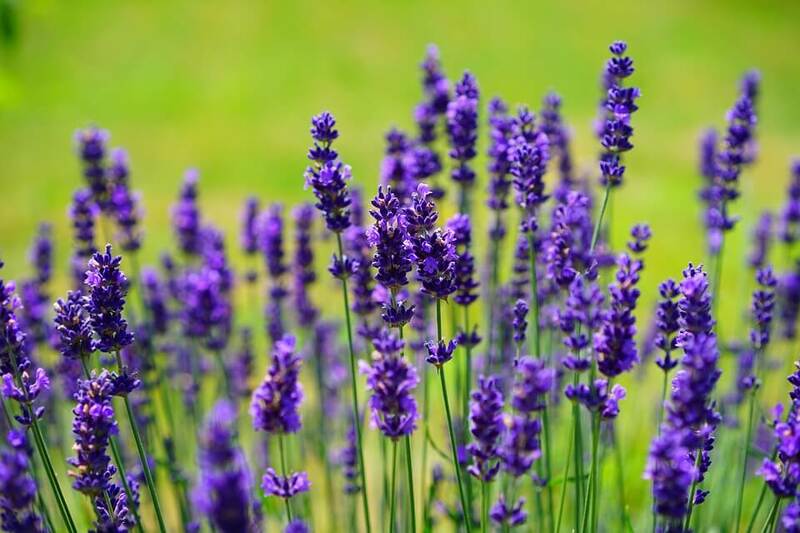 Use Lavender together with deep, resinous scents, like Frankincense, to create calm and peace or with lighter citrus notes to provide a lift in mood. Sandalwood’s sweet, dry, woody aroma has been cherished for centuries for its ability to help with mood enhancement . When worried thoughts are clogging up your mind, Sandalwood can support your sense of feeling grounded and alert . 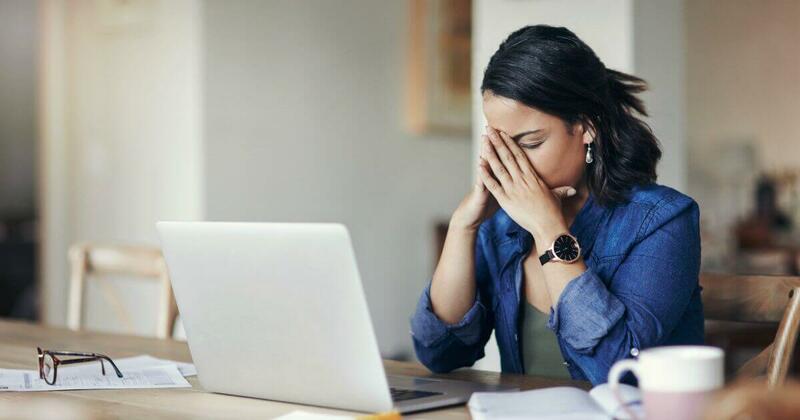 Help pull your thoughts away from worry with this essential oil known to help with focus, mental clarity, and maintaining emotional stability. 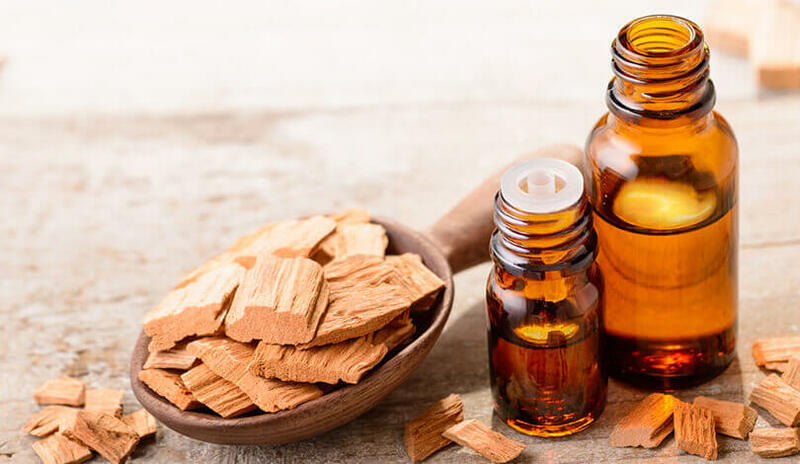 Use Sandalwood Essential Oil anytime during the day by rubbing the oil, diluted to 1-2%, into your palms or putting a few drops onto a cloth or handkerchief and inhaling the aroma. Or, add a few drops to your aromatherapy locket for an instant pick-me-up. When worry has you feeling stressed out, diffuse or directly inhale Chamomile Roman to enjoy its calming effects. You can also add 3 drops of Chamomile Roman to a tablespoon of bubble bath and mix in 1/2 cup of Epsom salt. Then, gently swirl in the water for a warm, relaxing bath. The delicate, sweet, and smooth aroma of Copaiba Oleoresin is a great way to lighten a tense mood. It is most notable for its very high amount of beta-caryophyllene. This unique chemical constituent may target parts of the brain that help minimize feelings of nervousness and worry. It is also great with easing feelings of sadness and discouragement . 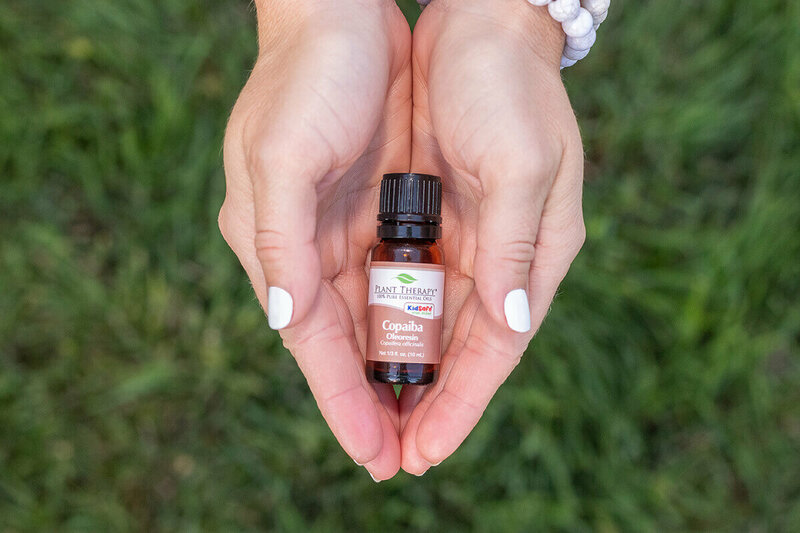 Add 3 drops of Copaiba Oleoresin, 2 drops of Frankincense Carteri, and 4 drops of Orange Sweet to your diffuser to help reduce your worry and gain a more grounded mindset. Melissa is known to create feelings of peace and hope — the perfect antidote to worry! Its beautiful grassy, lemon scent promotes emotional balance and creates a sense of calm . When worry causes tension in the head and neck, Melissa can help relieve those uncomfortable feelings as well. Add a few drops of Melissa Essential Oil to your diffuser, personal inhaler, or diffuser necklace to create a peaceful atmosphere that can help reduce worry or calm the mind during times of emotional gloom. Plant Therapy also carries essential oil blends that can help keep you calm and in control, so those feelings of worry don’t take over. 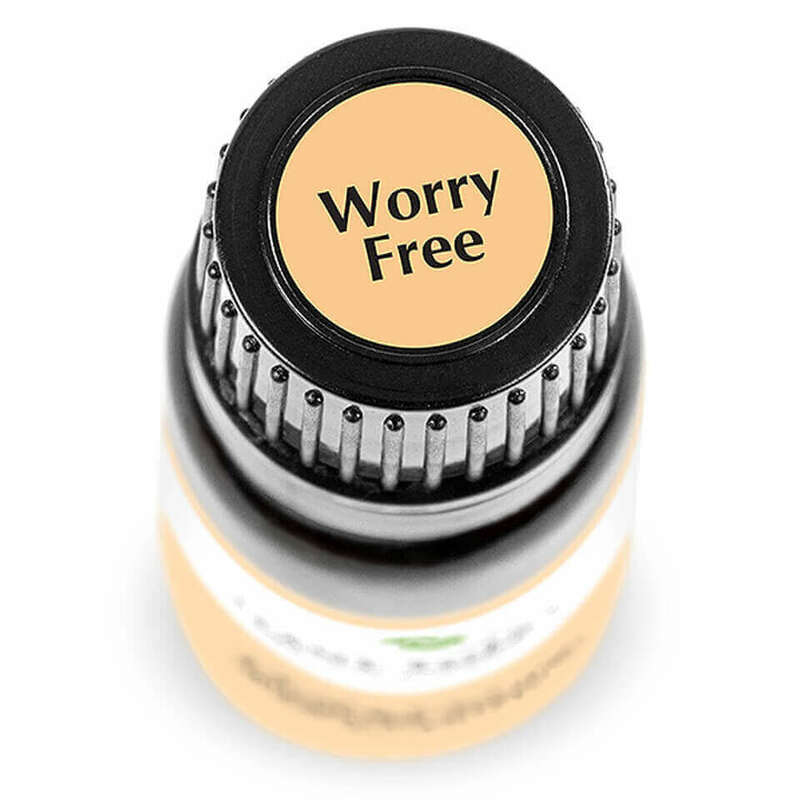 Ease chaotic, worry-filled moments away with our Worry Free Blend (also available as a pre-diluted roll-on!). The gorgeous aroma created from this blend of Lavender, Marjoram Sweet, Ylang Ylang Complete, Sandalwood Australian, Peru Balsam, and Chamomile Roman will have you in a relaxed state of mind so that you can better cope with life’s challenges. The beautiful essential oils of Bergamot, Patchouli, Orange Blood, Ylang Ylang Complete, Grapefruit Pink come together to help reduce worry and its effects. Tranquil (also available as a pre-diluted roll-on!) is fantastic for helping you achieve mental relaxation and feel more at ease. To use, add essential oils to your aromatherapy diffuser and enjoy the wonderfully comfortable and worry-free atmosphere it promotes! Heuberger, Eva & Hongratanaworakit, Tapanee & Buchbauer, Gerhard. (2006). East Indian Sandalwood and α-Santalol Odor Increase Physiological and Self-Rated Arousal in Humans. Planta medica. 72. 792-800. 10.1055/s-2006-941544. Leaf Science, “β-Caryophyllene: A Terpene For Anxiety and Depression?,” [Online]. Available: http://www.leafscience.com/2014/07/08/b-caryophyllene-terpene-anxiety-depression/. [Accessed 6 January 2017]. This was a very useful blog post! Thank you! Chamomile has been on my “need to buy” list for quite a while. I do own copaiba and have been using it for other things, but didn’t realize that it would help with worry. Also, I bought Tranquil in my last order, and I LOVE to sleep with the in the diffuser! I just placed my first order and chose many oils for relaxation and calming! I suffer from anxiety and can’t wait to see how oils can help make me a happier and more relaxed person! Tranquil blend is one of my favorite blends to diffuse at night. Not only is it relaxing, but it smells heavenly. Would Chamomile Roman, Melissa, and Bergamot be a nice blend to diffuse at night to get my family ready for sleep? Love this blog! So helpful! I worry way too much and I like to use Worry Free and Relax. I want to try some of the others too! It looks like I have several choices for oils to ease my racing mnd. Thanks for the information. Great ideas for someone who is just starting to dabble in the wonders of essential oils. Can’t wait to try these blends out. Love this blog post. Lavender frankincense c and Melissa happens to be my favorite blend. Melissa is such a wonderful oil. I like chamomile too but find I have better results with Melissa when it comes to easing worry. Copaiba is another one that I use. Looks like I will need to get some of these wonderful oils!! Worry is my middle name 🙁 Can’t stomach ylang ylang smell but interested in learning more about Roman chamomile, Melissa, and Australian sandalwood. Currently loving the effect of bergamot, copaiba, and Peru balsam together. Great blog that will help me a lot when attending suicide prevention events. Thank you. i bring a worry free roller always. it helps! btw i dunno why i didnt get pts from blog comment, but system showed that i already done this mth. very interesting blog..Thank you for sharing..
Can I use just the frankincense and lavender as I do not have Melissa? How many drops of each if I prefer a personal inhaler? Thank you, Plant Therapy for this great information. Sinse my husband passed on October 1, 2018 I have really been stressed and a nervous reck. I have been using Let it Go, Worry Free, Lavender, Relax, and Tranuil at different times to calm my nerves and calm my mind. Thank you for sharing this “recipe” – will be saving for later! There are just SO many oils and SO much info about each of them. I appreciate these blogs that continue to give lots of info…I figured the more I keep reading eventually I’ll learn it and it will stick! Does anyone else find that the scent of Copaiba is very light? I find I often can barely smell it, so wondered if that was just my nose, or if that’s a common thing? It really seems like a wonder oil, in any case! Any recommendations for a KidSafe worry blend? We use A+ attention for mental ease during times of cognitive growth, but I’ve found it doesn’t always combat anxiety and new emotions that growing little ones face. Love this blog, I have used so much of this information for making blends for worry and calming. My high school age grandkids use them at school and we all carry them wherever we go. I love Tranquil! I can’t wait to try some of these others! I love this post. Especially since many things are changing for a lot of people right now, essential oils can be a big help. This is so needed right now. I always find exactly what i am looking for on this blog! Hi! Im new to essential oils. What would be good to “sniff” from an inhaler? I have been told some oils are “hot” oils and are to strong to be used for that. I use Lavender regularly but I don’t use my Roman Chamomile very often so I am happy to find another use for it! Would it be safe to use the roll on blends on myself while a child of six is always nearby? Joelle, that should be fine! I would just be cautious if holding a baby near the applied area for periods of time. Thanks for such great information. I cannot wait to get the missing oils and give this a try. Looking to make worry a thing of the past. Thank you for sharing this info. I worry frequently, so I’ve made note of these oils listed above to help ease my mind. Just curious. If you don’t have Melissa is Moldavian Dragonhead similar enough to use in its place? Melissa sounds like the perfect oil for me! Lol! I’ll have to give it a try it sometime when I can. I can’t wait to try this Copaiba diffuser blend! I dont have enough regular uses for copaiba and I LOVE it, so this may be a new favorite for our household! Thank you!!!! Blues Buster is a nice kid safe version that is in my box and needs to come out more often. 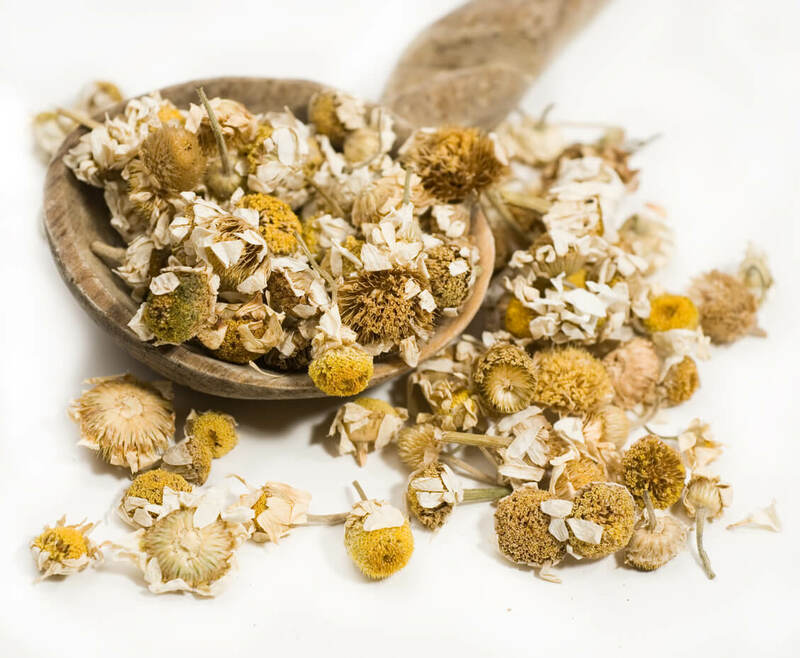 We use Relax and chamomile blends frequently. Roman Chamomile is on my wish list! I use the hydrosol, as well as the Melissa hydrosol on my children, works wonders for tantrums and pain! I’ve been using oils to calm me and balance whatever is going on lately. Anytime I put them on or diffuse them, I feel so comforted, even with the oils that are meant to energize! I just love that not only do they smell great but they are so benefit like to us in so many ways. That’s great to hear, Amanda! The power of oils really is incredible! I really enjoy reading on your blog and learning so much. I do have a question though, like on your comfort and ease diffuser blend, it says not kids are. What will happen if I diffuse it in a living room with my 3 year old boy? I have the Relax synergy but may need to check out some of the other synergies. 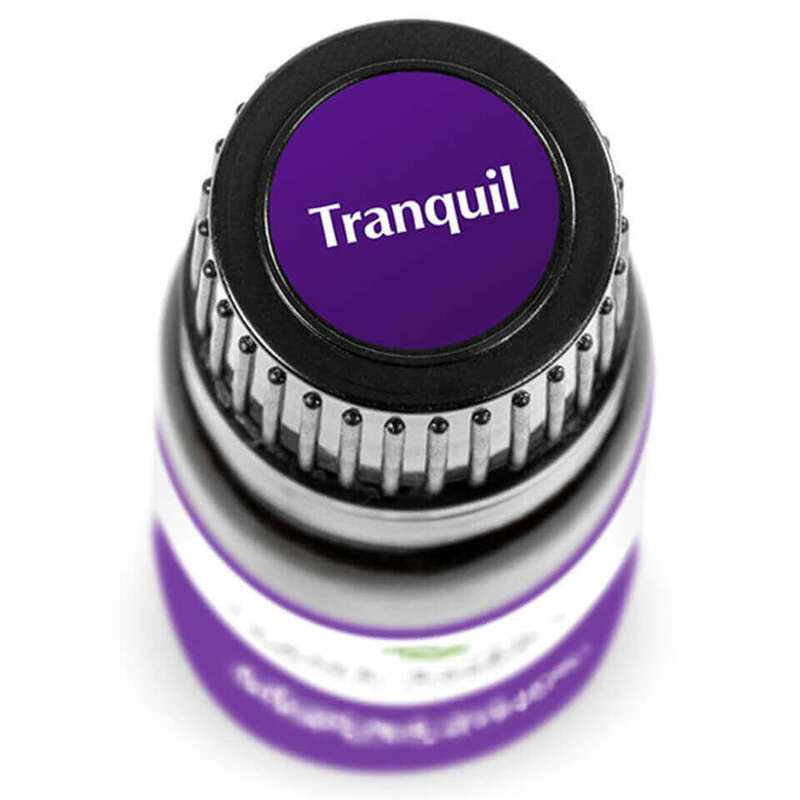 I notice Tranquil has Bergamot in it. Is that one of the primary oils, ie does it smell overwhelmingly of Bergamot? For whatever reason I don’t find that smell relaxing…. Great blog! Tranquil synergy has got to be one of my all time favorite blends, and it smells absolutely amazing! I use it to help me drift off to sleep, when I’m stressed, or just anytime I need to relax. Sandalwood is one of my favorites. Thank you for the recipe! Looking forward to trying it. Thank you for sharing and I love how much you promote self-care and normalize it. I spent many years neglecting myself and focusing only on taking care of my husband and kiddos. Learning about essential oils is what put me on the path of learning to take time for myself and taking care of myself and that by doing so I could actually take care of my family better. 🙂 I love my Worry Free, Self-Esteem, and Relax synergies. They work amazingly well for me as part of my self-care. 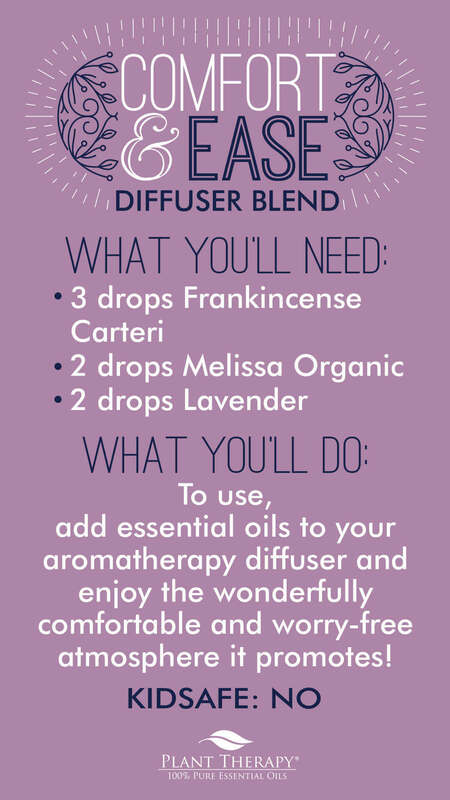 I would love to try the diffuser blend you shared but I don’t own any of the oils, although they have both been ones I’ve been interested in getting. Speaking of that though, I do own Lavender Fine and Lavender Flower CO2, could either of those be used in place of the Lavender in your diffuser blend above? I love Relax when I am feeling full of worry. My mom uses a mix of Worry Free and Self Esteem. Thank you for the reminder that we are all different and different things work for some and not others and so many memories are tied to smell both good and bad. It’s so interesting to see how oils work with differently for each person. Thank you for showing us multiple options and teaching a little about each one. I really love reading the blogs and learning about each oil. Thank you for creating this particular blog. The past 9 months have been so hard for me and my kids and I have been using my oils to help us through. I need to get Chamomile Roman and Melissa because I’ve heard such great things about them and this blog just reinforces that. Thanks for all you do PT.